Spring has sprung, and family fun is in full bloom with our special springtime deal! 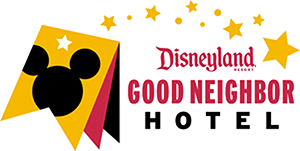 Book your stay starting as low as $139/night April 1-30, 2019. FUN Majestic Springtime Jubilee Gift just for the kids! Free Dream Machine Shuttle to/from Disneyland® Resort or purchase your Disneyland® Resort tickets in advance! *Based on availability. Restrictions apply. Please review the terms and conditions carefully at the time of booking. Reservations must be pre-paid in full and there is a 24-hour cancellation policy. Room upgrades available for additional fee.